“I heard you won an award this year. 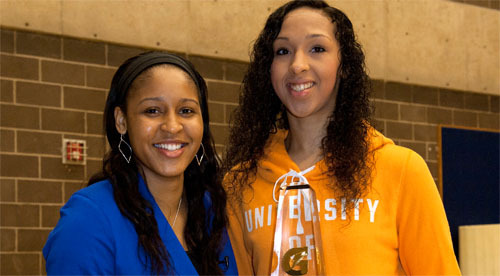 I think it’s national girls basketball player of the year?” WNBA star Maya Moore said to then Springfield High School student Mercedes Russell, comically downplaying the moment while surprising her with the highly coveted trophy in front of a camera. Russell’s jaw dropped and her eyes lit up. The moment marked Russell’s initiation into an illustrious group of high school basketball Gatorade Player Of The Year award winners including Lebron James, Dwight Howard and Russell’s favorite player, Candace Parker. Also, Kevin Love now has company in the “from Oregon” category of winners. The award solidified a fact that most people who had watched her play already knew. Russell had mastered high school basketball. But regardless of if you’re an average teen or one of the the most highly touted high school basketball players of the last five years, life is a never-ending process of maturation and improvement. On the basketball court, not many players in college or even professionally can replicate some of the things Russell can accomplish. “Not only is she a unique talent who is 6’6″ and can handle the ball, her basketball IQ for a young person, who is still only 18 years old, is off the charts” Springfield High School head coach Bill Wagner said. Mercedes Russell playing for Springfield High School. 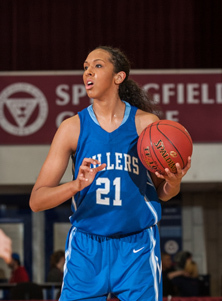 Russell averaged 25.1 points, 12.3 rebounds, 5.5 blocks, 3.9 assists and two steals her senior year and was the catalyst of two state champion Springfield High School teams in her final two years of high school. But she wasn’t always so adept at utilizing her talent. Her freshman year, Russell averaged 13.9 points and just 2.2 assists. Wagner, who coached Russell from her sophomore year to her senior year, said that although she always could score, over the years, Russell developed other parts of her game. “She learned how to dominate defensively and with the pass,” Wagner said. He says she especially improved her ability to pass out of double teams. “Over time, she began to understand defenses and learned to figure out where people were coming from and to make the right read out of double and even triple teams.” Wagner said. By the time she was a junior, her stats catapulted to 26 points and five assists, along with 15 rebounds and five blocks. By the time she was a senior, she became the number one recruit in the nation. Because Russell played guard for much of her youth, she has the handle and jump shot of a guard, while possessing the size and length of a post player. Not to mention, she is ambidextrous. “It allows me to finish on either side of the basket. I think I can finish with both hands pretty well,” Russell said. “Most big men are just there to plug the middle. She is so much more versatile than that,” Wagner said. Her rare skills prompted illustrious programs such as Louisville, Duke, North Carolina and Tennessee to offer her a scholarship. In the end, she chose Tennessee. “Tennessee was always my dream school. I’ve been watching them play my whole life,” she said. By the end of her high school career, her game was well polished, but her personality hadn’t yet blossomed. “She was really shy in high school. She would be in a room and you wouldn’t know she was there,” Wagner said. “Mercedes was more of a lead by example type of player. We had other players on those title teams who were more vocal leaders,” Wagner said. But like many wide-eyed freshman who’re eager to reinvent themselves, her personality opened up once she stepped foot on a college campus. While visiting Knoxville, Tenn., Wagner saw a noticeable difference in Russell’s public persona. “She’s always been a lot of fun once you get to know her,” Wagner said. “She was never immature. But I’ve seen a growth in her from high school to college. She is much more vocal and outgoing,” he said. Russell says her transition to college has been easy. “The weather is something else,” she said. “I really love the soul food and barbecue,” Russell added. Plus, she was pleasantly surprised by how friendly the people of Knoxville are. “The southern hospitality is great. Everyone is so nice,” Russell said. Though she has adapted well, she didn’t leave for uncharted territory alone. 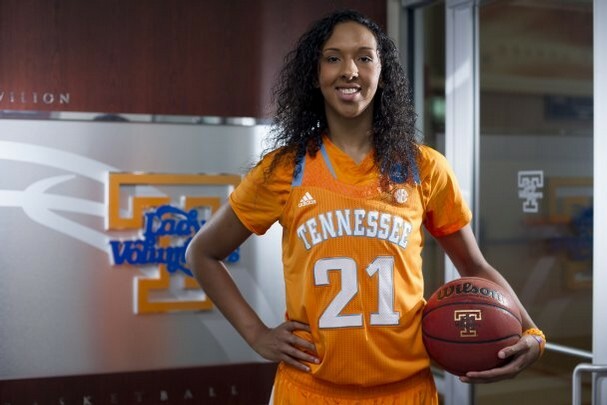 Fellow McDonalds all-American, AAU teammate on Team Concept and Oregon native, Jordan Reynolds, also signed her letter of intent to play basketball for Tennessee. “We’re both coming from Oregon and coming to a new experience together. It is nice to have someone there with you,” Russell said. Suiting up for maybe the most storied programs in women’s basketball and current No. 8 team in the nation according to the Associated Press, Russell has played well at times. So far this year, she is averaging 7.2 points, 5.2 rebounds and over one block per game. Against No. 17 ranked Texas A & M, she accumulated eight points, a team high 11 rebounds, one steal and one block. Also, she was named SEC Freshman of the Week on Dec. 30. 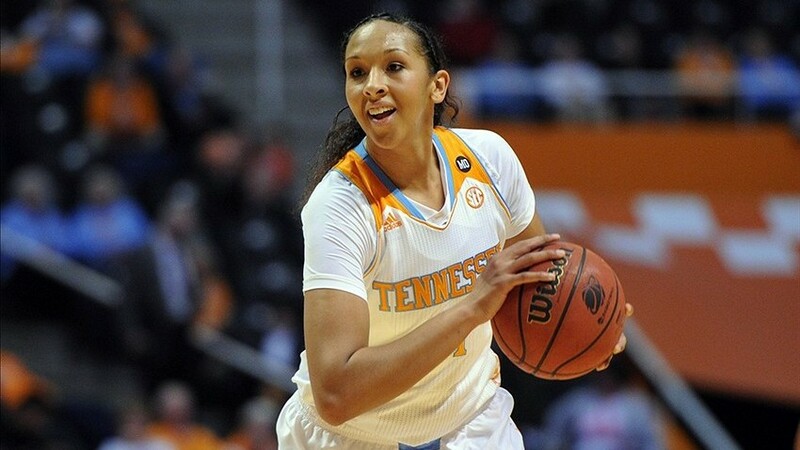 However, against Alabama on Sunday, she finished with just two point and two rebounds. But in concordance with men’s basketball Gatorade Player of the Year Andrew Wiggins, who scored 29 points one game and went 2-12 from the field the next, for Russell or any 18-year-old collegiate athlete, consistency is hard to come by. Both Wagner and Russell agree that she needs to get stronger to make a consistent impact on both ends of the floor. She says she has brought to the Volunteers squad great presence inside, but admits that along with adding strength, she must get faster and develop her post moves. Earlier this year, another WNBA star, Russell’s idol Parker, visited her. This time not to congratulate, but to motivate. “You need to start working now and it will payoff later,” Russell recalls Volunteer legend Parker telling the Lady Vols squad. “If you don’t work hard now, you’ll regret it later,” Parker added. Though Wagner gushes about Russell’s worth ethic with regards to developing her basketball skills, Russell has utilized Parker’s motivation toward developing her body in the weight room as well. “There is always room for improvement,” Russell acknowledges. Once she reaches her potential, Wagner believes the sky is the limit for Russell. Not to mention, he see’s a long and prosperous WNBA career in her future. 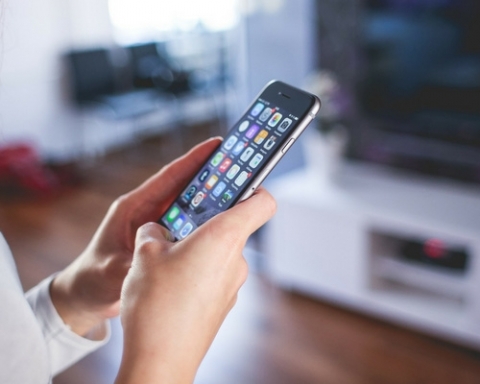 Along with his visit to Knoxville, Wagner and Russell keep in touch by texting all the time. It’s safe to say that the two share a connection beyond the sport of basketball. “I consider her like a member of my family,” Wagner said. I want to thank Mercedes Russell and coach Wagner for taking the time to talk with EDN. I am a journalism major and political science minor at University of Oregon. I graduated from Central Catholic High School in Portland, Oregon in 2010. I am interested in many aspects of journalism such as feature writing, hard news and multimedia. I like to write stories on music, politics, sports and fascinating stories which expand my mind. Yet Another Interesting Weekend In Oregon Sports.